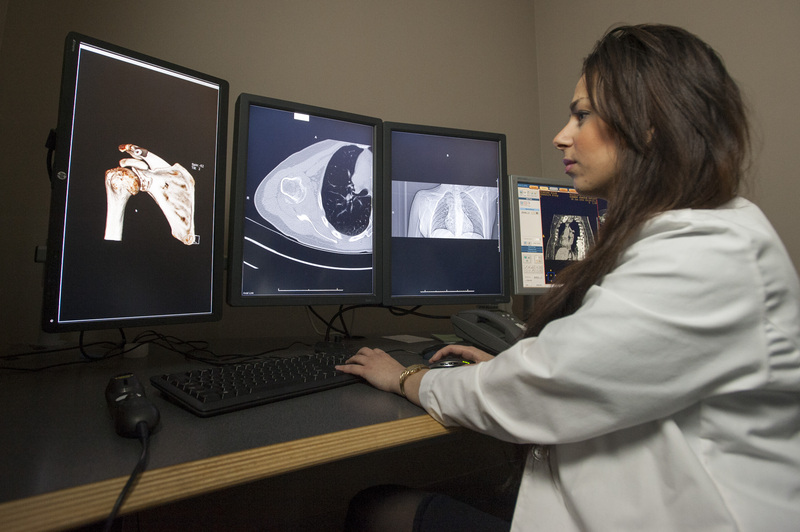 We are proud to offer an accredited four-year residency training program in diagnostic radiology to two residents each year. The goal of our program is to provide residents with progressive learning opportunities and responsibilities, along with exploration in teaching, research, and leadership. We also offer undergraduate and graduate medical education programs for non-radiology medical students and residents. Radiology Online is an online teaching file of basic-to-advanced imaging cases. It is a not-for-profit educational tool that we have developed for medical students, residents, fellows, and attending physicians. Created at UConn Health, our contributors and users are multi-institutional. We invite you to explore the files, quiz yourself, or submit a case. Active research is conducted in clinical and translational science disciplines. Our faculty members utilize an interdisciplinary approach that enhances opportunities to make significant contributions in medical science and the care of our patients. Research is supported by a full complement of ancillary services.